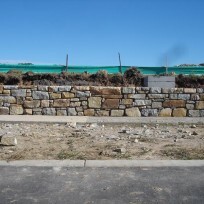 The developer planned on the extensive use of stone throughout the development. 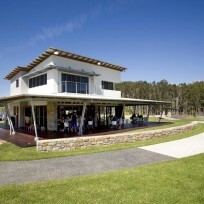 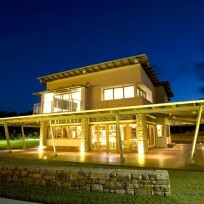 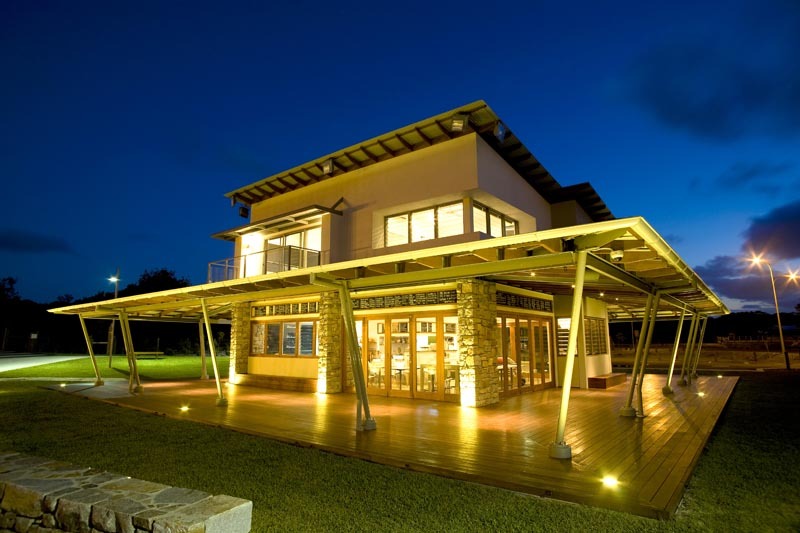 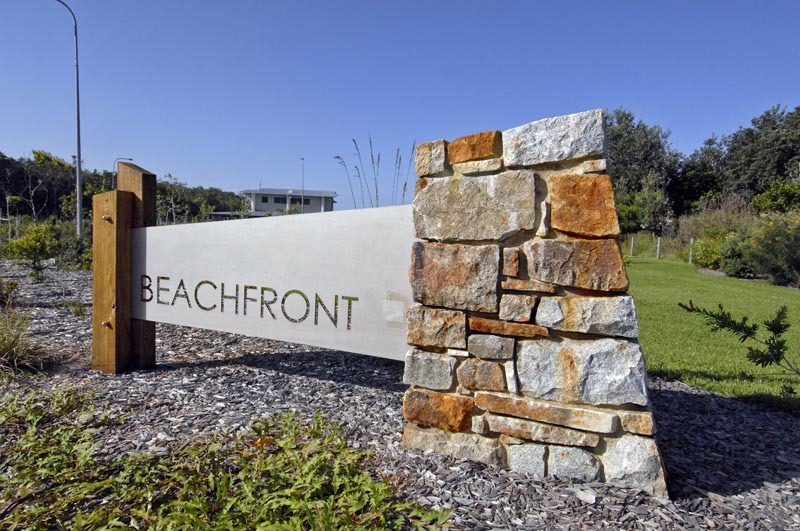 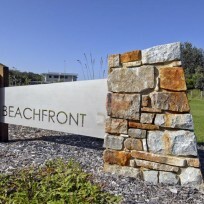 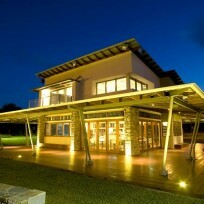 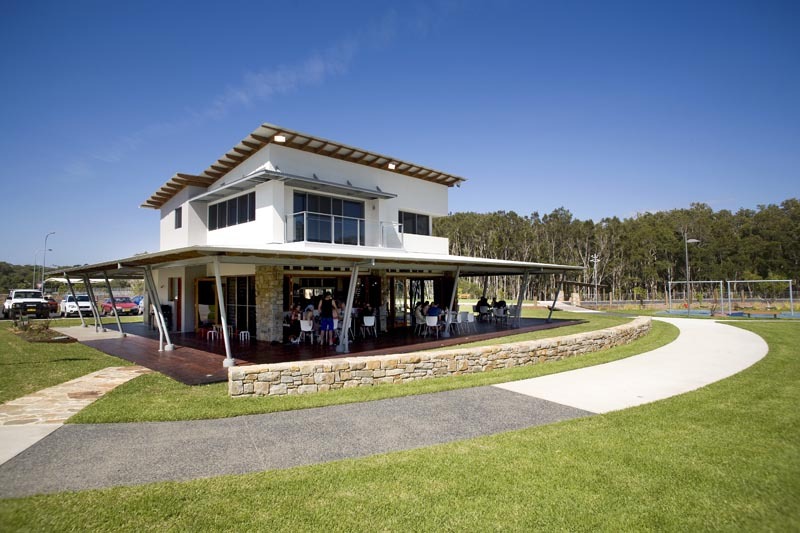 The Beachstone Cafe and park lands are the feature and the center piece of the development. 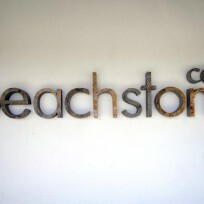 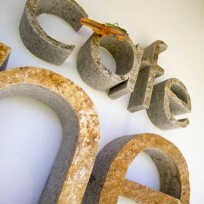 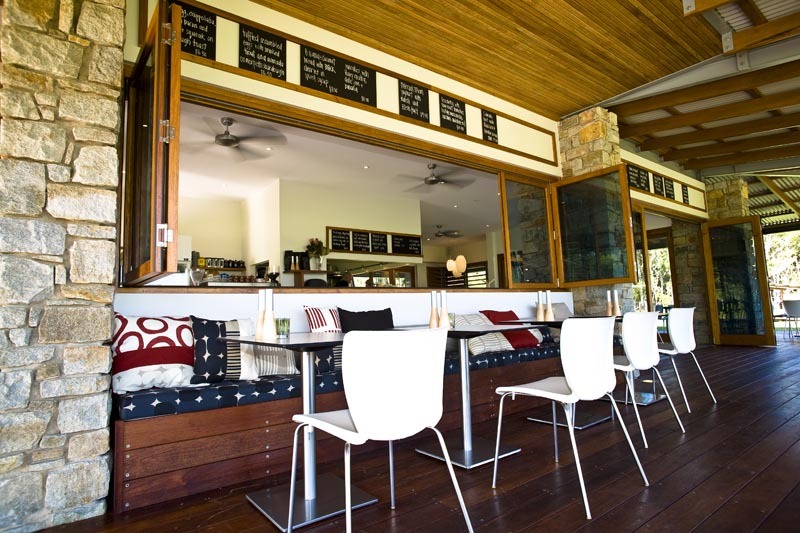 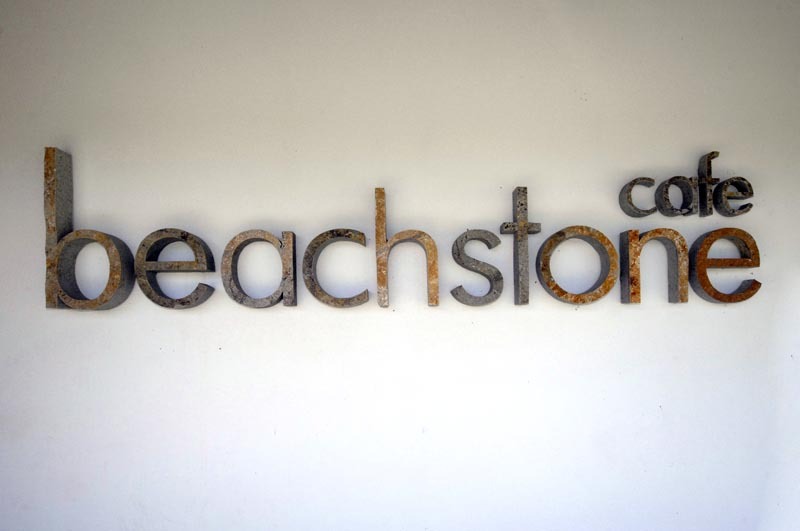 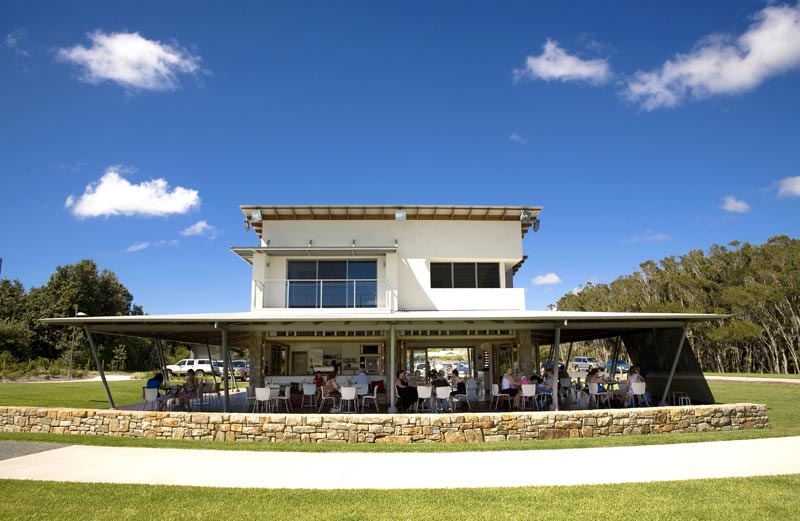 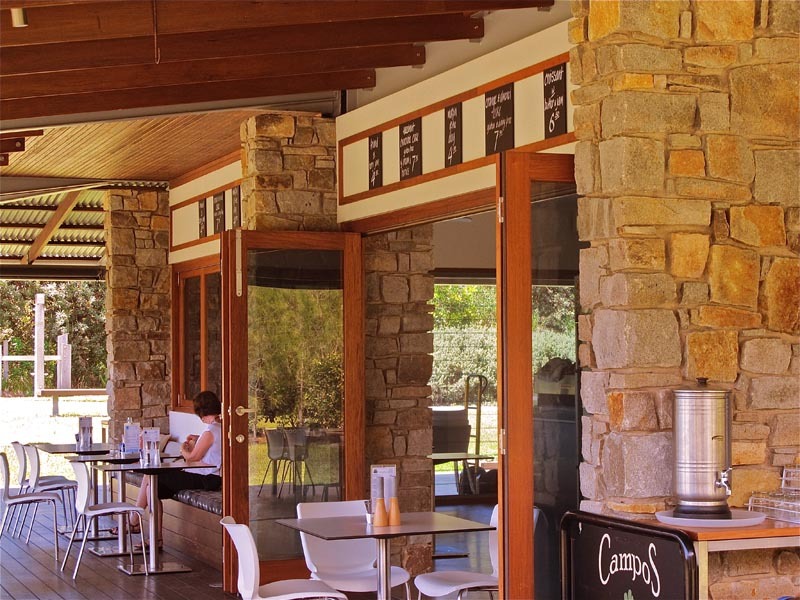 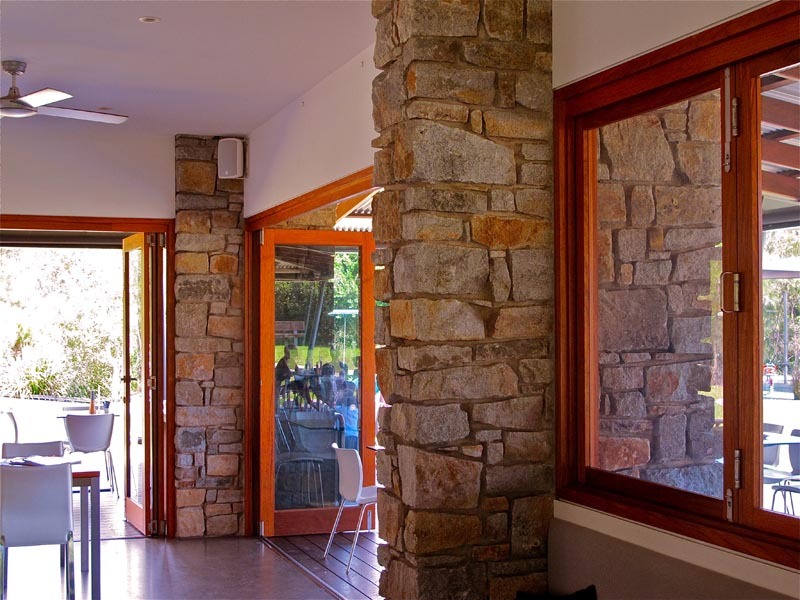 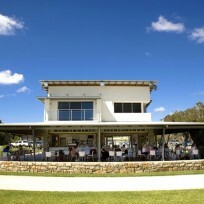 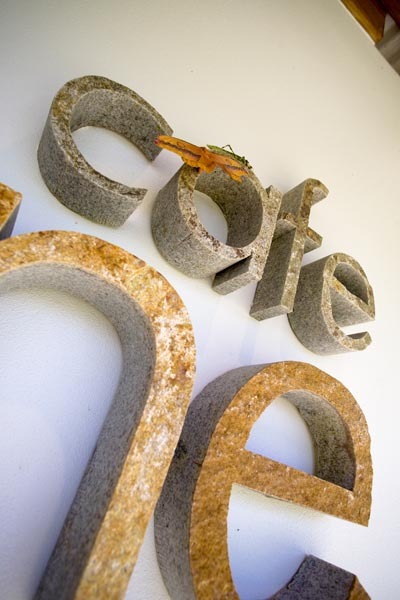 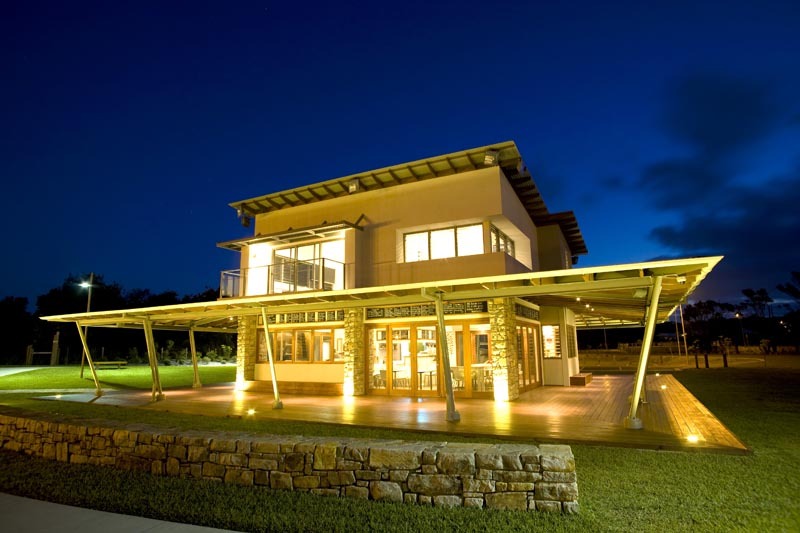 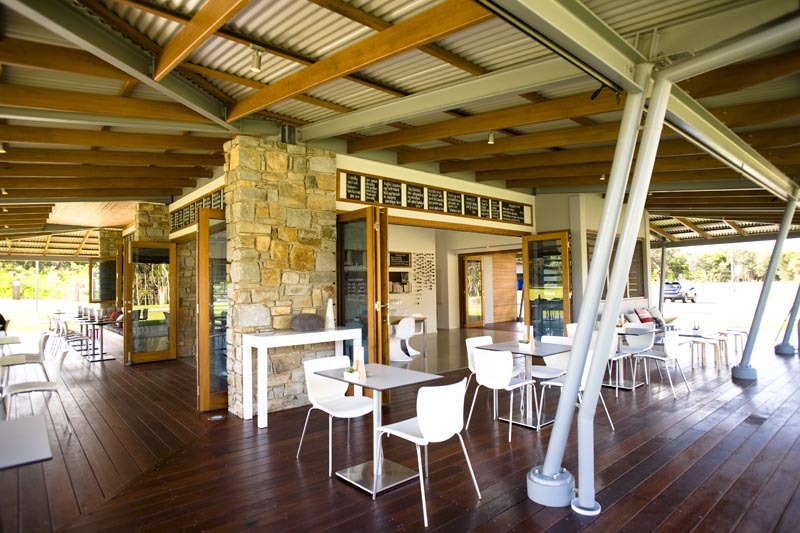 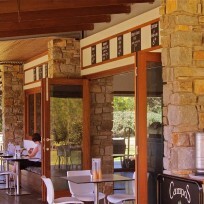 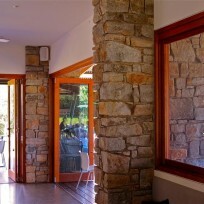 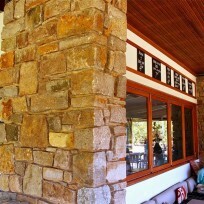 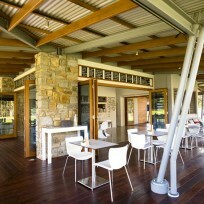 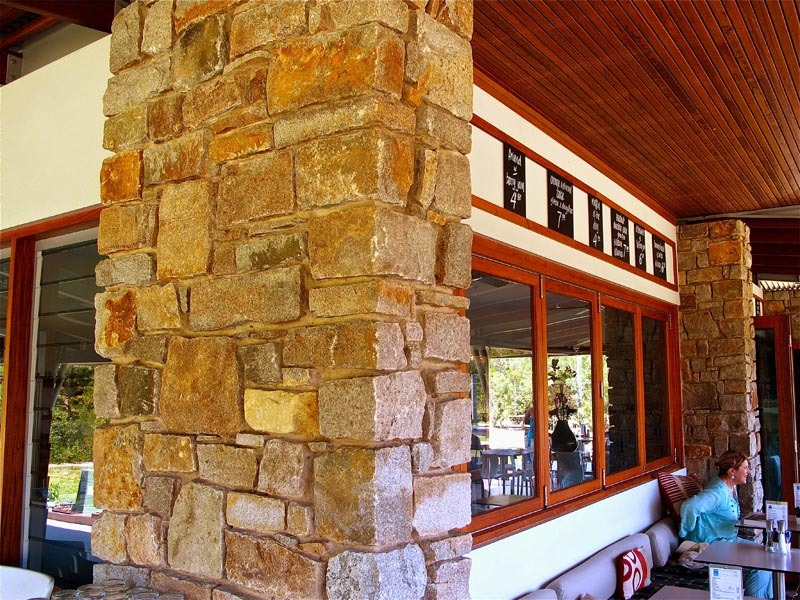 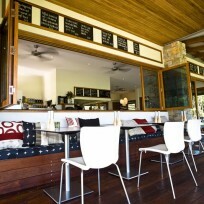 In the Beachstone Cafe there are three 100% stone load bearing walls. 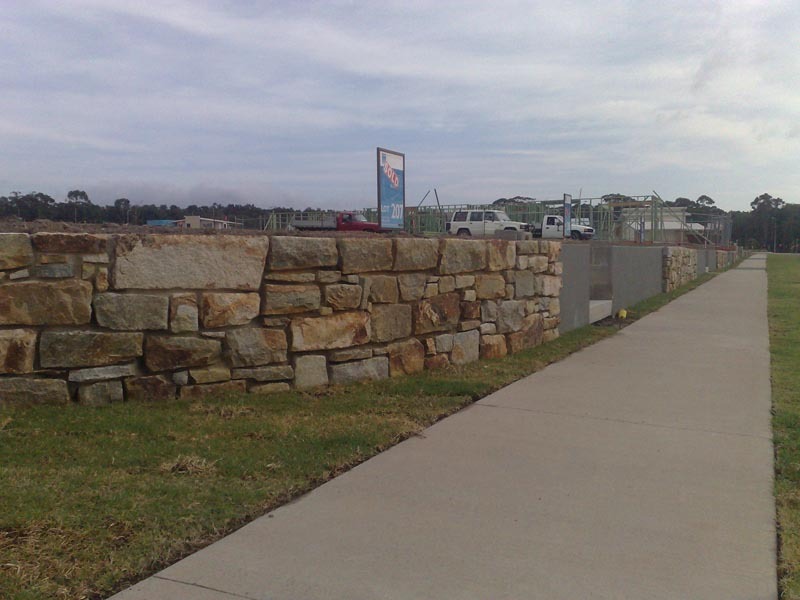 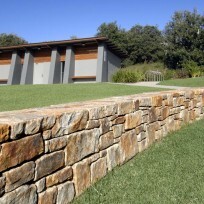 Double sided stone walls featured throughout the park, playground, and picnic area. 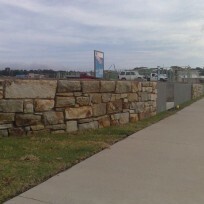 The long low wall in front of the cafe became the cafes longest seat. 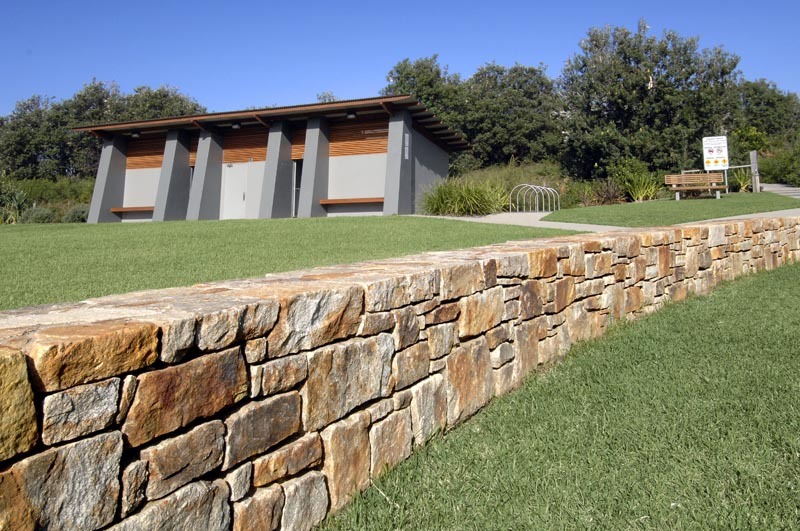 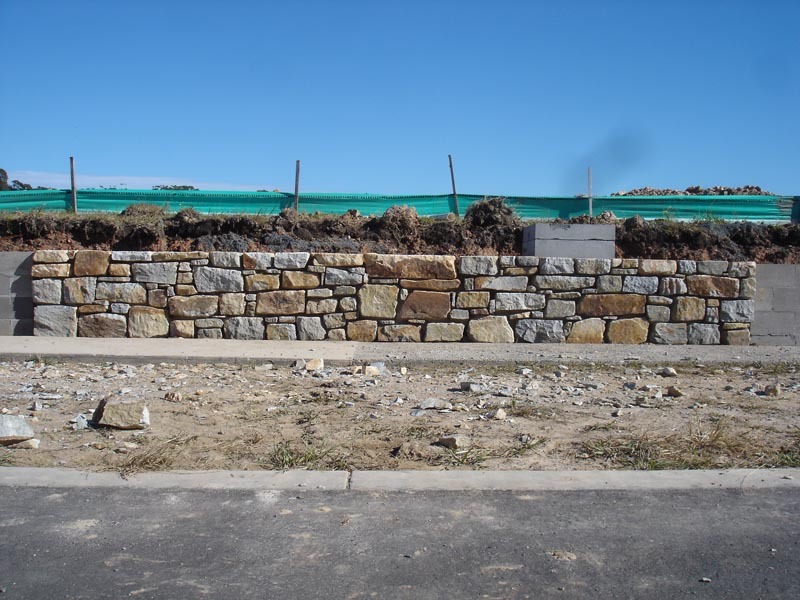 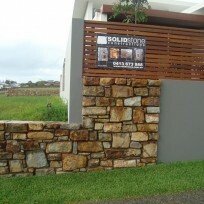 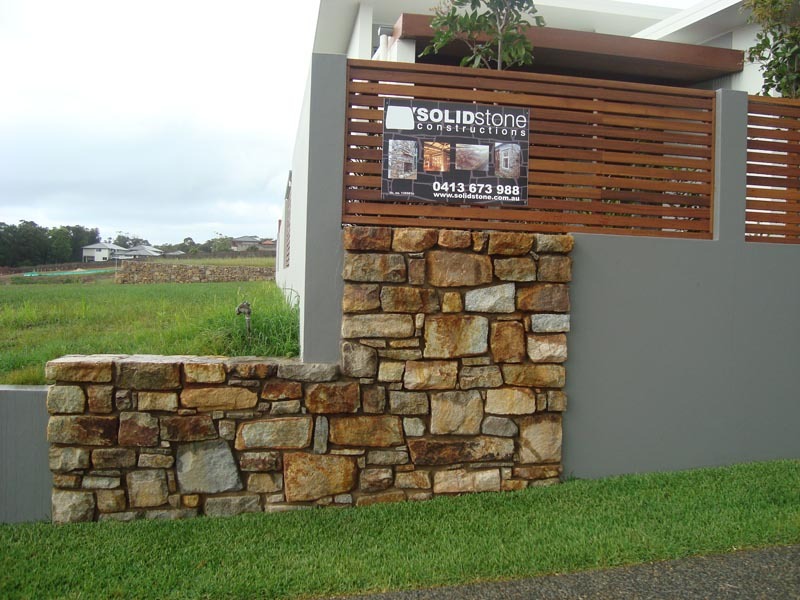 Throughout the subdivision, there is a perfect balance of stone retaining walls and concrete block rendered walls.